Hi Everyone, I hope you have all had a better week than me? I have been home in bed most of the week with a chest infection, but I'm on the mend now a back to work be the time this goes live. This week our colour is called Pumpkin Pie, its a really lovely orange so deep in colour I love it. 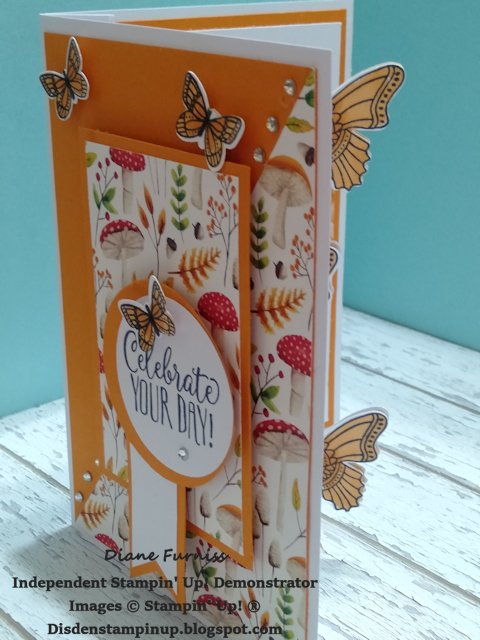 As I had time to what quite a few YOUTUBE videos while home I saw a card similar to the card that I have made for this weeks Hop but the sizes and the way it was put together were not how I would like so I set about changing it to suit me. This is what I came up with. 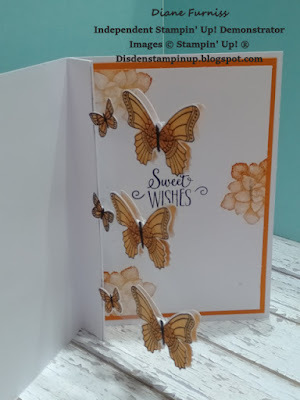 I call it a Butterfly Pop-out card as you will see why in the other photos. I love the way this all came together as I was making it I wrote down all the measurements and have written a tutorial that I will be posting in my Facebook group in a week or so. I will also be doing a YOUTUBE video of this card as well so keep and eye out. I used the DSP from the Painted seasons bundle again this week as I really love it and I used the Pumpkin pie as my layers as well as on my butterflies coloured using the blender pens. As you can see when you open the card the butterflies are just floating there and really seem to pop-out at you. I already know who will be getting this card as I know she loves butterflies. 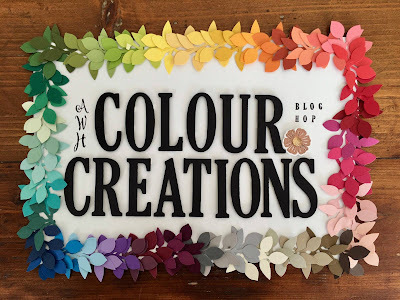 All the items used in this project a in the current 2018-2019 Annual catalogue and the 2019 Occasions Catalogue it is only the DSP that will retire on the 31st March as this is a Sale-A-Brations item so if you would like to get this paper before time runs out please place a $90 order with me and get this beautiful DSP pack for free. Thanks for popping in and having a look I hope to see you again next week. wow Di,. what an incredible card, i really love how your butterflies float. I hope you are feeling better now. Thank you for hopping along tonight! Awesome card Diane. The floating butterflies are such a surprise. Wow, Wow & Wow! What an amazing card. I will definitely be looking out for the Youtube video. I love absolutely everything about this card and you have totally blown it out of the water. Hope you are feeling much better. 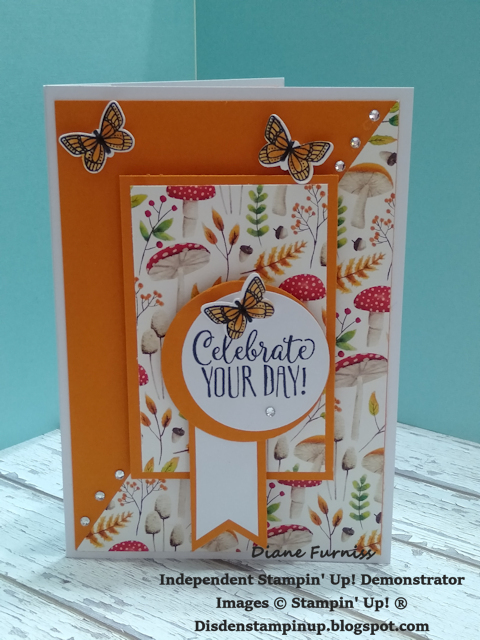 Beautiful card Diane, the DSP and butterflies go so nicely together. That's a beauty, Di. I always love the surprise of a fancy opening card & who doesn't love those butterflies?!!! Such a gorgeous card Diane. This pattern of the Painted Season DSP is reall lovely and I love how you have used it on your card. Oh, wow! What an amazing card! the floating butterflies look awesome! 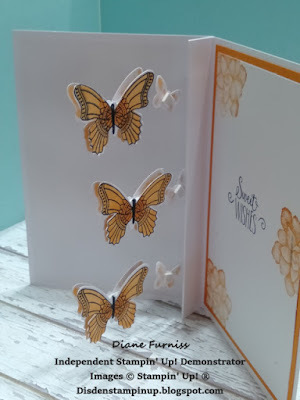 All content is the sole responsibility of Diane Furniss, Independent Stampin' Up! 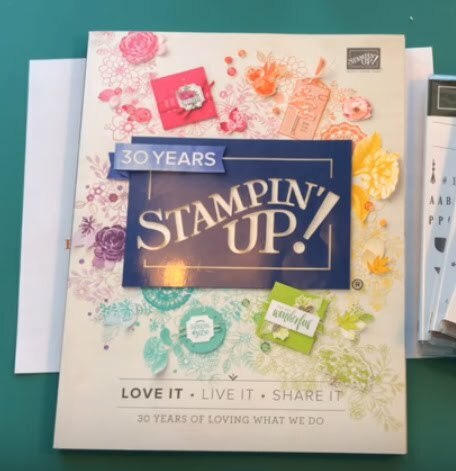 Demonstrator and the use and content of the classes, services and products offered on this website is not endorsed by Stampin' Up!. Some stamped images on this site are copyright Stampin' Up! 1990 - 2019. Designs on this site are copyright Diane Furniss unless otherwise attributed. All designs and tutorials are for your personal inspiration only.